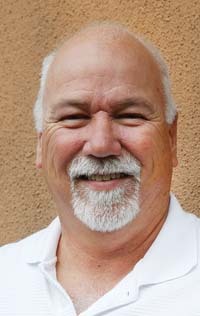 Ketchum Utilities Manager Steve Hansen is retiring after a 28-year career with the city. Hansen was commended by Mayor Randy Hall at a City Council meeting Monday for his many years of service. Hansen said in an interview that his last official day working for the city would be Thursday, Sept. 20. Former City Administrator Jim Jaquet, who worked on many projects with Hansen over the years, spoke highly of him as well. Hansen spoke briefly about the state of the city’s utilities and his faith in the Utilities Department’s future. “[Ketchum’s] water and sewer system is second to none in the state and will remain so,” he said. Hall said Hansen’s work has had a big impact. Hansen thanked his wife, Lisa, and his family, saying they “put up with” all the stressful times and late nights when there were utilities emergencies. He also thanked the public, the city and his staff. In August, City Administrator Gary Marks told the Idaho Mountain Express that the city plans to hire a full-time public works director/city engineer to replace the utilities manager position held by Hansen. Marks predicted having an in-house engineer will save the city about $3,400 a year. In an interview this week, Hall said the city has not yet sent out application requests for the new position. He said the Water Department and Wastewater Department heads, who worked directly under Hansen, would “step up” and make day-to-day decisions in the interim.